Provide comfort for the family of Roy Stewart with a meaningful gesture of sympathy. 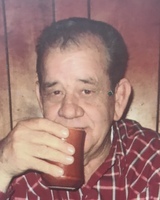 Roy Carl Stewart Jr., age 74 of Snyder, passed away Friday, January 18, 2019. Funeral Services for Mr. Stewart will be held Wednesday, January 23, 2018 at 2:00 pm at Miller Family Funeral Home Chapel. Burial will follow in the Hermleigh Cemetery. Visitation will be held at 1:00 pm, prior to the service. Mr. Stewart was born October 20, 1944 on Snyder, TX to Roy and Edna (Green) Stewart Sr. He married Patsy Adams on March 31, 1978 in Snyder, TX. He was a veteran of the United States Army. Mr. Stewart worked for the TDCJ for over 18 years. He also retired from the State Highway Department. To send flowers in memory of Roy Stewart Jr., please visit our Heartfelt Sympathies Store.